House bill seeking closure of “public comment sessions” before prisoner review board may be unconstitutional | Kautsch Law, L.L.C. A bill proposed this session, HB 2338, would amend K.S.A. 22-2717(h) so that “public comment sessions” before the Prisoner Review Board would become “private comment sessions” no longer open to the public. Further, HB 2338 seeks to amend K.S.A. 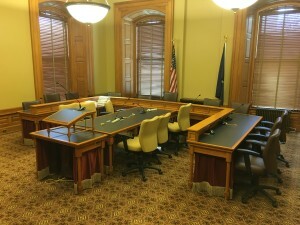 75-4318(g)(2) of the Kansas Open Meetings Act (KOMA) so that the “comment sessions” are not open meetings subject to KOMA. The proposal is apparently in response to requests from victims of serious crimes who believe media access to the “public comment sessions,” which are administrative hearings at which they testify before the Prisoner Review Board about whether an inmate should be granted parole, invades their privacy. While victim privacy is an important governmental interest, this bill fails to balance such interest against the public’s constitutional right to access traditionally open proceedings. Furthermore, the proposed amendments are contrary to the legislative history that originally established “public comment sessions,” infringe on constitutional rights to access, and may even decrease the likelihood that victims and their families would receive actual notice of comment sessions. In 1991, K.S.A. 22-3717 was again amended to provide that additional notice of “public comment sessions” be delivered to victims and families of victims of off-grid felonies. According to my research, the statute’s references to “public comment sessions” have not been amended since. 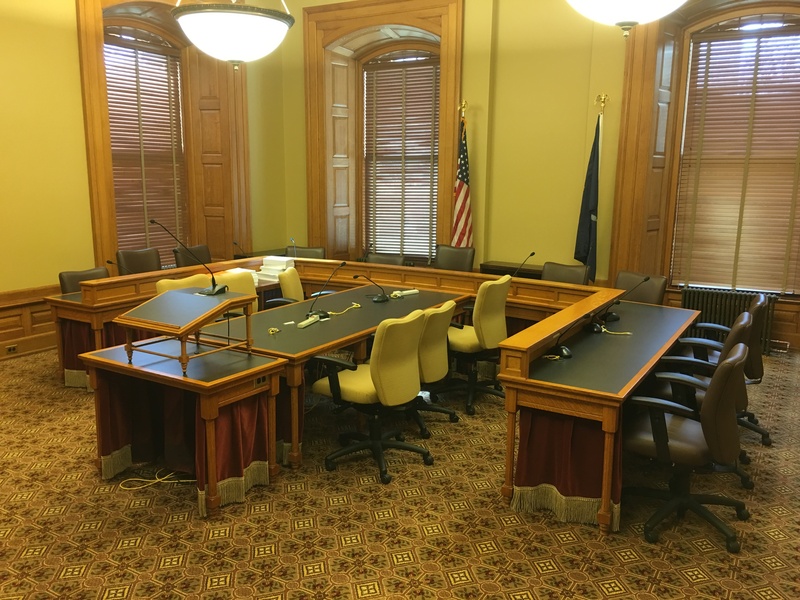 The practical effect of HB 2338 would be to close “public comment sessions” to the public. However, United States Supreme Court precedent and the First Amendment raise a high bar before the closure of a presumptively open administrative proceeding is constitutionally permissible. The “public comment sessions” are presumptively open as long as (1) they have been traditionally open to the public and (2) public and press access to the proceedings play a positive role in the functioning of the parole process. The legislative history from 1989 substantiates that the “public comment sessions” have been traditionally open administrative proceedings. Further, legislative testimony from 1991 indicates that the public nature of the hearings, and the accompanying public notice by media outlets, allows the public to play a positive role in the functioning of the parole process by notifying victims and their families of “public comment sessions” who would not otherwise have been aware. The presumptive openness of “public comment sessions” cannot simply be overcome with a bill such as HB 2338. Even a compelling or overriding interest, such as victim privacy, is insufficient, on its own, to justify complete closure of these traditionally open administrative proceedings. Before such closure is permissible, the government must show a substantial probability that the interest will be harmed if the proceeding remains open. The government must also show that it has considered reasonable alternatives to closure that might solve the problem. Finally, even if closure is the only option, the closure must result in a minimum interference with the rights of the press and public to attend the proceeding. The Kansas Supreme Court has also recognized this presumption of openness that applies to traditionally open proceedings, holding that courts are required to apply the “reasonable alternative test” before closure of a hearing or sealing of a record is constitutionally permissible. As mentioned above in reference to the legislative testimony from 1991, there are documented instances where public notification of “public comment sessions” by the media has played a crucial role in ensuring that victims and their families were aware of the opportunity to be heard. Although improvements in technology since 1991 have increased the available means of communication, the media still plays an important role in disseminating information to the public. If the “public comment sessions” become “private comment sessions,” interested persons will not be informed about, nor have an opportunity to participate in, proceedings that are of significant public concern. The media will not be able to inform the public about pending proceedings. The public and the media surely must be respectful of victim rights. However, those rights must be balanced against competing rights, in this instance, the public’s First Amendment right to access. At the very least, all reasonable alternatives to closure of the “public comment sessions” should be explored before the amendments proposed in HB 2338 become law. Max Kautsch is the Kansas legal hotline attorney for the Kansas Press Association, the Kansas Association of Broadcasters, and the Kansas Sunshine Coalition. Send him an email here. 1989 Kan. HB 2199, Enacted, April 12, 1989. Minutes of the House Committee on Judiciary, February 15, 1989. Minutes of the House Committee on Senate, March 17, 1989, Attachment 3, p. 2. 1991 Kan. SB 211, Enacted, May 8, 1991. See, e.g., Richmond Newspapers v. Virginia, 448 U.S. 555 (1980); Press-Enterprise v. Riverside Superior Court (Press-Enterprise II), 478 U.S. 1 (1986); see also Detroit Free Press v. Ashcroft, 303 F.3d 681 (6th Cir., 2002)(“The Richmond Newspapers two-part test has also been applied to particular proceedings outside the criminal judicial context, including administrative proceedings.”); Publicker Indus., Inc. v. Cohen, 733 F.2d 1059 (3d Cir.1984) (civil trial); Society of Prof. Journalists v. Sec’y of Labor, 616 F.Supp. 569, 574 (D.Utah 1985) (administrative hearing), vacated as moot, 832 F.2d 1180 (10th Cir.1987). Minutes of the Senate Committee on Judiciary, February 25, 1991, Attachment 5, p. 1; Attachment 7, p. 4; Attachment 8. Kansas City Star Co. v. Fossey, 230 Kan. 240, 249 (1981); see also Wichita Eagle Beacon Co. v. Owens, 271 Kan. 710, 712 (2001). Phoenix Newspapers v. U.S. Dist. Court, 156 F.3d 940, 949 (9th Cir.1998).